A lot has been happening in the silent world, so we’re going to need a few short, quick posts to catch up after all that Dreyfusiana. To begin with, two notable names passed away this week. Dorothy Janis (1910-2010) was one of the last surviving people to have starred in a major silent feature film. The film was W.S. Van Dyke’s The Pagan (US 1929), in which she co-starred with Ramon Novarro. The picture was silent with a music score and songs. Her first film was in 1928 and her last in 1930 – she married in 1932 and decided thereafter that she was done with the movies. There’s an obituary on Alt Film Guide, while The Pagan is available as a DVD-on-demand and digital download from Warner Bros.
Secondly, there’s Karl Malkames (1926-2010). He was the son of silent film cameraman Don Malkames. Karl had a good career as a cameraman, working in newsreels (for Warner-Pathe) and second unit work for feature films, but he really made his mark in film history was in film restoration and the collection of vintage film technology. He worked on developed the machinery for copying silent film formats, most notably preserving much of the output of the Biograph company for the Museum of Modern Art (his father had been friends with Billy Bitzer, D.W. Griffith’s cameraman, and he owned an original Biograph printer). He restored silent films for the Paul Killiam TV series The Silent Years, assisted Kevin Brownlow and David Gill when they were making their Hollywood series and his expertise in the technology of silent cinema saw him cited as an oracle by film archives and film historians. He did as much as anyone has to preserve silent films and our understanding of how they were made. 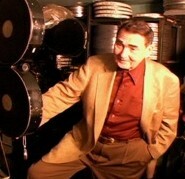 An obituary written by his film historian grandson Bruce Lawton is available here.